The agency wants to jump onto the current success of DoD’s similar Cerner roll outs in the Pacific Northwest and needs the funds now to avoid driving up the project’s cost down the line. 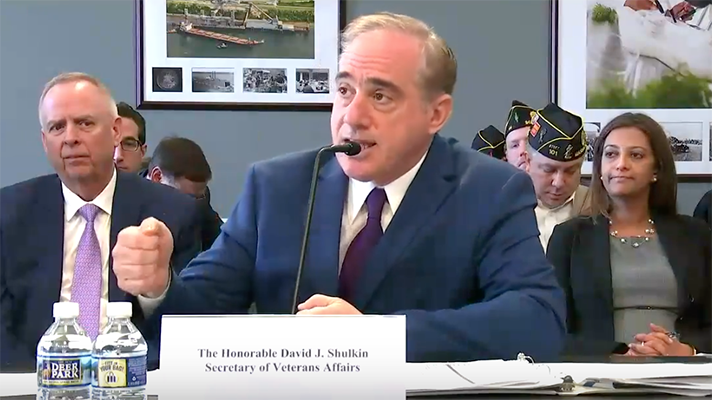 The U.S. Department of Veterans Affairs Secretary David Shulkin, MD, asked the House Appropriations Military Construction-VA Subcommittee to reprogram $782 million from its current budget so the agency can get started on replacing its current VistA EHR with Cerner at VA facilities in the Pacific Northwest. Specifically, Shulkin wants to redirect $690 million from the 2018 fiscal budget for medical care and $92 million from IT projects. However, due to restrictions in the stopgap measure funding the government, only $374 could be transferred right now, Shulkin said. The requested funds are the bare minimum the agency needs to start its IT work and expand the program management office to cover the Cerner implementation, explained Shulkin. The VA recently awarded Booz Allen a $750 million management contract. Failure to obtain these funds will drive up the project’s costs by about 5 percent over the 10 years it will take for the project to be completed, Shulkin estimated. The VA is hoping to tag on to the Department of Defense’s recent pilot rollouts at four of its Pacific Northwest medical facilities. "By us deploying now into the same geography as the Pentagon, we can leverage resources already in that area," John Windom, executive director of the VA EHR Modernization. "That way they don't have to stand up a whole team in another part of the country." Shulkin had previously committed to signing the Cerner contract in October, but there have been a few delays -- including a lawsuit from EHR provider CliniComp. The case was recently dismissed based on jurisdiction, but the vendor is still fighting its cause. The VA has also put off a request for information on a Digital Veteran platform that is designed to assure interoperability between Cerner and other vendors used in the private sector. The VA recently expanded its Choice program to allow veterans to leverage private sector care when area VA facilities were unavailable. As for interoperability, Windom is “100 percent” positive the agencies will be interoperable after the project is completed. A standard Congress has continually chastised the agencies for failing to meet.